You'll be £19.99 closer to your next £10.00 credit when you purchase Children of the Camps. What's this? Children of the Camps: Japan’s Last Forgotten Victims tells the truly heart-rending stories of Caucasian and Eurasian children who ended up imprisoned inside Japanese internment camps throughout Asia. It is written from the perspective of the survivors, who are all elderly today, and the effects that it had on their lives and families. Survivors’ testimonies run right through the book, as we follow their traumatic change of circumstance and experiences from pre-war privilege into the horrors of the internment camps and finally the uncertainties of the immediate post-war period when liberation often meant discovery of the loss of parents. Mark Felton has done much in recent years to shed light upon hitherto neglected areas of the war in the Far East. In this book he tells the story of those children who paid such a terrible price for what the author describes as the belated and racist lottery of evacuations taking place in the face of the relentless advance of Japanese forces. Many still feel the effects today. Accounts from survivors of different nationalities are brought together, illustrating and amplifying the narrative and opening a window onto the reality of life in the camps, including Changi, Santo Tomas and Kampong Macassar: environments in which the mere fact of owning a radio could cost you your life, and in which mothers sacrificed themselves for their children. Regimes ranging from those like that of the outwardly benevolent Colonel Suga to one headed by the moon-swung, frankly psychotic Captain Sonei. In the worst case scenario, the civilian internment camp was comparable in every way to Nazi Concentration camps such as Belsen. How did children from comfortable colonial backgrounds deal with exposure to acts of random violence? How was it that the Japanese appeared to view the Dutch with even greater animosity than others? These and other questions are tackled in detail by Dr Felton, who writes with compassion as well as conviction. The story does not end in 1945, so we learn much about the postwar lives of former internees, all now elderly. And in some ways the concluding chapters are most interesting of all. Survivors' testimonies run right through the book, as we follow their traumatic change of circumstance and experiences from pre-war priviledge into the horrors of the internment camps. Many books on this subject focus on a particular part of the Japanese Empire (with many published in Britain concentrating on British or Commonwealth prisoners in Burma, Malaysia or Singapore). Felton has taken a different approach, and covers most of the Japanese Empire. This provides a much broader context for the individual stories, and amongst other things makes it clear that the Dutch were treated in an even worse manner than British of American internees. Since the end of World War two a growing number of stories and histories have emerged surrounding the actions of the Japanese, with a lot of perspectives gathered from the Chinese generation to the military POW. However, a group often overlooked are the perspectives of children who were detained in the Japanese camps. 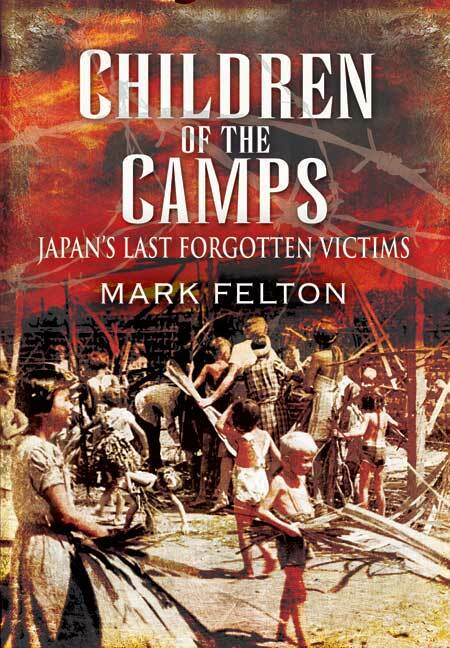 Dr Mark Felton has addressed this issue, gathering numerous survivor testimonies in his latest work Children of the Camps: Japan's Last Forgotten Victims. This excellent book uncovers the devastating stories in which thousands of Eurasian and Caucasian children were separated from their parents and treated to a terrible environment with daily threats of physical abuse, starvation and disease, similar to the environment endured by their parents. From the first page of this well written book you can begin to see the devastation of World War Two and the Japanese, Felton begins with one of the most poignant speeches given by the then Prime Minster Winton Churchill. From this very first quote you feel a sense of pain and annoyance which is still felt by many of the surviving children today. With harrowing stories from a variety of survivor that paint a vivid picture of the terrible events children as young as 6 years old were made to endure, this book is an engaging and emotional read. However, what you will truly take away from this emotional book and the harrowing stories within it, is a sense of British pride for the children who survived these cruel Japanese camps. During World War II, the Japanese treatment of the Allies was a shameful and brutal act, but a much overlooked part of this act was the treatment of the children, who were taken from their comfortable backgrounds and parents and placed in concentration camps, under harsh conditions, their lives in danger from abuse, starvation and disease, their lives becoming a deadly game of survival. This book covers a part of history that has been overlooked, about the brutality of war on the lives of the allied children of Japan and the everlasting scars that still last over sixty years later. The author, Mark Felton who currently teaches at Fudan University in Shanghai, has gathered together several moving interviews from numerous survivors that insight the reader to the horror of the treatment of the Allies in Japan. This book is historical and emotional with eyewitnesses testaments and is widely appealing for either historical studies or as a narrative.